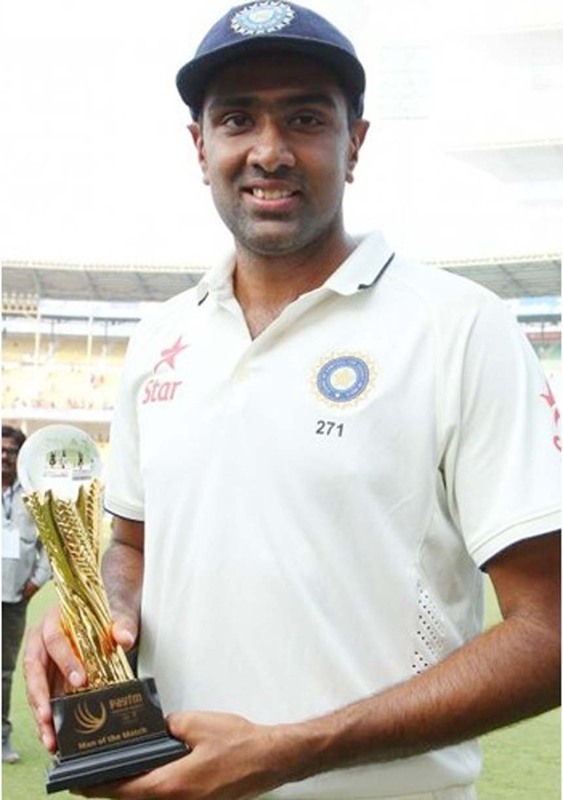 Ravichandran Ashwin was the star of the show, claiming figures of 7/66 in the second innings. He took 12 wickets in the match. A widely followed Test series finally saw some contest, but it came too late in the script for South Africa as the target of 310 proved too steep a mountain to climb on a challenging track. In the end, the Nagpur Test finished as another three-day affair, with another five-for from R Ashwin taking India to a 124-run win and in the process end a 10-year wait to beat South Africa in a Test series. Faf du Plessis and Hashim Amla forged a dogged resistance, but scoring runs was always a task as the duo's stand clearly showed - 72 runs in 46.2 overs. And once Amit Mishra removed both the set batsmen for 39 each, it was a backward counting to the end of South Africa's nine-year unbeaten streak in away Test series. In the end, South Africa was sent packing for 185, which meant they are yet to touch the 200 mark in the series, which included the embarrassing 79 all out in the first innings at Nagpur. Ashwin then returned to perform the last rites and complete his 15th five-for (7 for 66) for another 10-wicket haul in a Test. That made him the leading Test wicket-taker in 2015, overtaking England fast bowler Stuart Broad. Ravindra Jadeja couldn't pick any wicket in South Africa's second innings, while Mishra finished with figures of 3 for 51. For the record, it was also Virat Kohli's first home Test series win as skipper. Interestingly, for the first time since 2006, South Africa lost two Tests in an away series. India had won the first Test in Mohali by 108 runs, also inside three days. The second Test ended in a draw as rain washed out four days in Bengaluru. But at one stage, when Amla and Du Plessis were together, it seemed South Africa might give the Indians a bit of a scare or at least take the match into the fourth day. But Mishra's twin strike ended any such possibility, allowing India to register their second win of the series in the last session on day three. The day, however, began on expected lines as Ashwin remained unplayable on the square turner - removing Dean Elgar (18) and big fish AB de Villiers (9), both trapped in front. That followed some dogged stuff from Du Plessis and Amla who toiled their way to lunch at 105 for 4. Their laborious half-century stand came up in 138 balls. But it was ended 22 runs later by Mishra, who first had Amla caught bat and pad and then cleaned up Du Plessis with one that kept low. JP Duminy and Dane Vilas put up some fight towards the end but it was always for a lost cause. 29 runs into their stand, Kohli brought back Ashwin who cleaned up Duminy (19), Vilas (12), Kagiso Rabada (6), Morne Morkel (4) in no time to end up with 7 wickets, which took his tally in the series to 24.